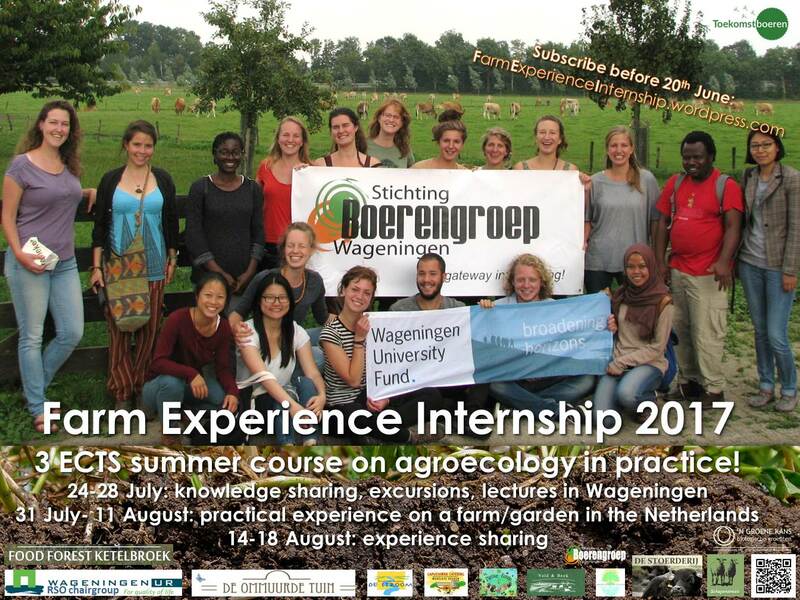 The Farm Experience Internship (FEI) is a 3 ECTS international summer course at the Wageningen University, which intends to bring together theoretical knowledge from students with practical skills and knowledge from farmers/peasants. It is being co-created by a movement of peasants, farmers, gardeners, scientists, students, activists, NGOs and agroecological companies – working together towards a sustainable, healthy, viable food system that is fair and just for the earth, the consumer and the producer. 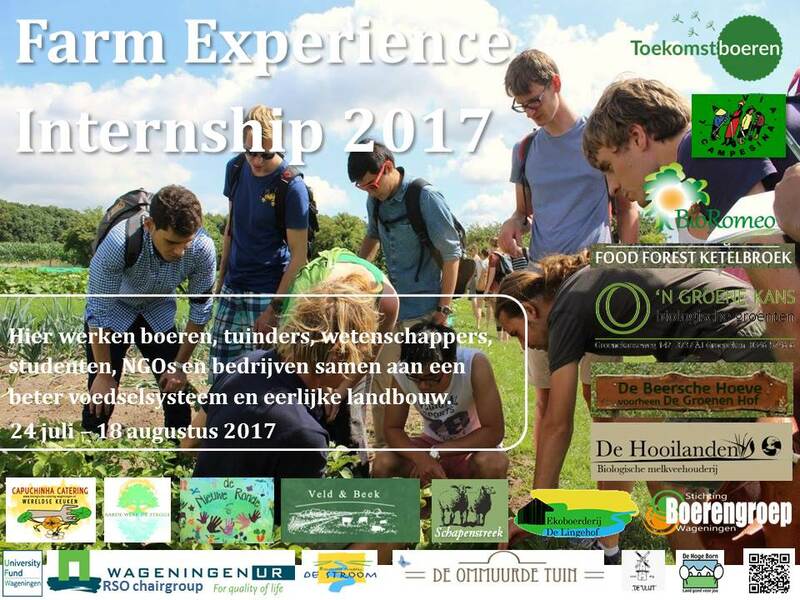 Are you interested in growing your own food, discovering local knowledge and practices on organic farms in the Netherlands? 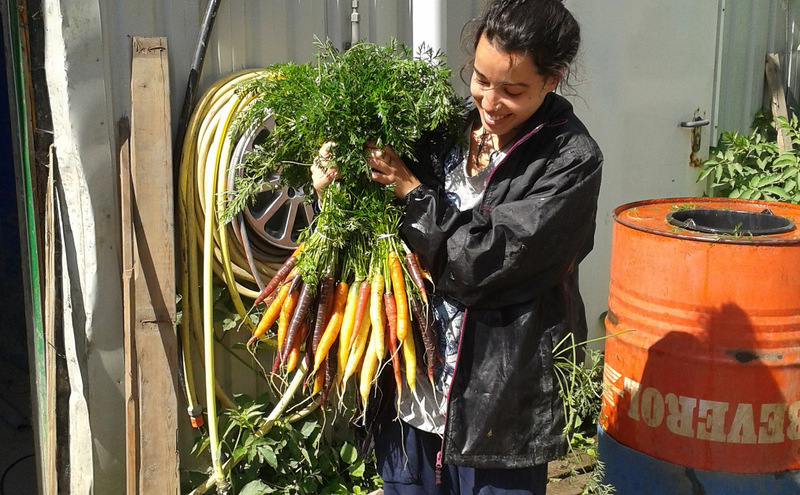 Do you want to learn about agroecology, food sovereignty and sustainable food systems? Or would you like to interact and discuss with farmers, peasants and gardeners to find creative, innovative ways of food production? Then check out the FEI website and sign up! 1. PREPARATION – Lectures, workshops, excursions, group work. During the first phase of the FEI, you will get to know about all kinds of topics related to agriculture, e.g. 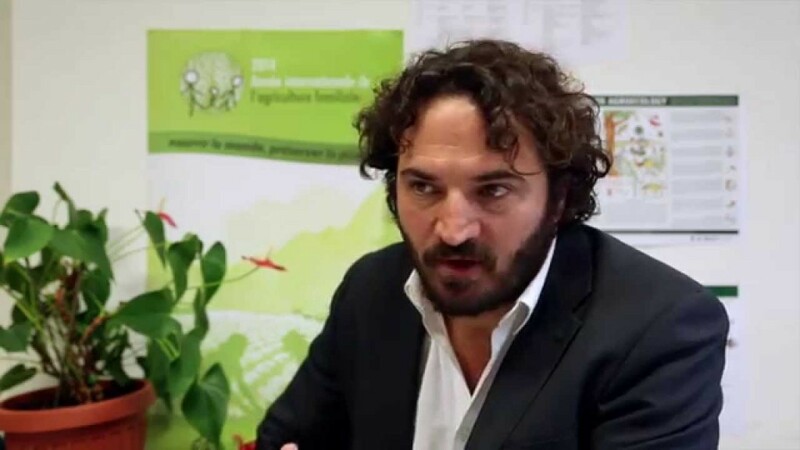 agroecology, sustainable food systems, food sovereignty, seed patents etc. We eat together organic, local, seasonal meals, we share knowledge and discover different learning styles. The preparation week will be held at The Building with the Clock (Generaal Foulkesweg 37, Wageningen) and the schedule is full day. 3. EVALUATION. After two weeks harvesting, feeding cows, goats, or making cheese, students will come back to Wageningen for the evaluation phase. Share experiences, discuss what you’ve learned and create the one and only FEI Story Book! LEARNING OUTCOMES OF THE COURSE. Understand and reflect on Agroecology as a science, practice and movement. Formulate and discuss their opinion and view on agroecology. Students can critically reflect on the gained knowledge and skills and actively use this during discussions and debates, e.g. regarding the need that we have to combine knowledge of peasant agriculture, ancestral knowledge and scientific research in order to co-create innovative farming practices. Understand and reflect on the different components of agroecology, like food sovereignty, soil, seeds, land and gender, and apply this knowledge in the analysis of your farm. Analyse the farming reality and adapt to this farmer reality and farmers concepts. Understand the concept of reality regarding research vs. farmers and try to meet these realities in order to cooperate together. Understand the notion of applied research which supports individual farms or the farming sector. Apply the knowledge and skills gained during the workshop of playing with methodology conducted by Michelle, while participating on the farm. Apply the knowledge and skills gained during the workshop analysis of Farming Systems. Achieve their own learning goals and discuss them with farmers. Irene Cardoso about the FEI: “What I like about it, is the way that the students can be connected to the reality, but in a way that they feel free to become part of this reality. 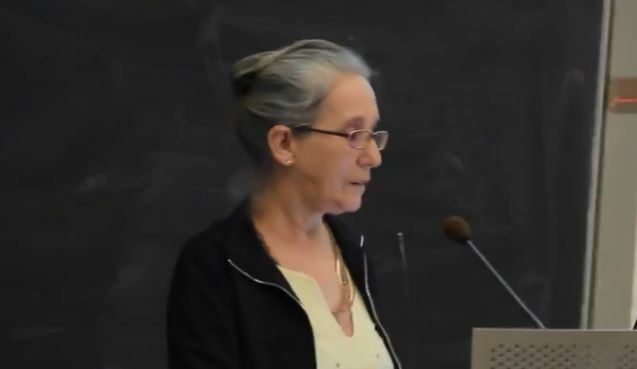 So they don’t go there as a technician, they don’t need to give an advise – they just go there to live with the farmers” – Irene Cardoso is professor of Soil Science at the Federal University of Vicosa, Brazil and vice-president of the Brazilian Agroecology Association. Article “Estágio Interdisciplinar de Vivência: Connecting social movements, family farmers and the university” – Written by Heitor Mancini Teixeira , Isabela Fabiana da Silva Ladeira , Lucas Reis Bittencourt. Family farmers play a very important role in Brazil, and not only in terms of food production. Yet, in spite of their enormous contribution, the knowledge that is developed and shared in educational institutes is rarely connected to their traditional knowledge. Most higher education institutions are highly theoretical and often oriented towards large-scale industrial agriculture, thereby creating gaps between their research and outreach activities and the needs of family farmers. An initiative started by started by a group of university students is successfully changing this situation. (Published in Farming Matters, 2013. Read the article here or download the full magazine for free here). 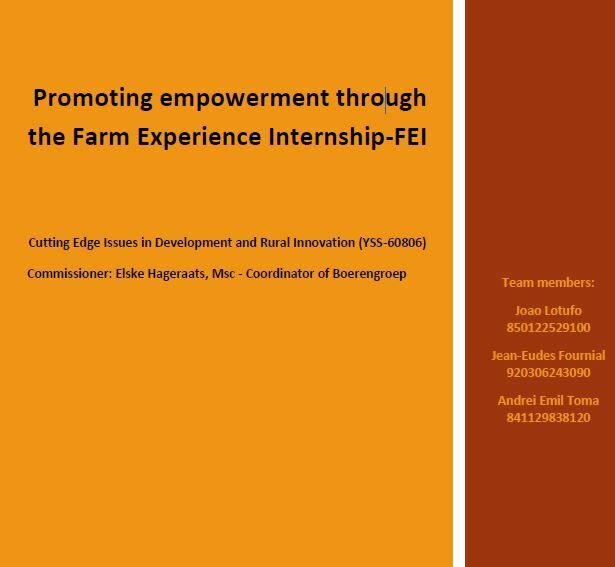 ABSTRACT: In this essay we elaborate about how the overall empowerment goal of the course Agricultural and Rural Innovation Process, RSO-51303 (also known as the Farm Experience Internship – FEI), is developed. For this, we first briefly present the course’s history, its structure and main characteristics as well as how the course is linked to a broader agro ecological movement. Then, following San Pedro (2006) and VeneKlasen (2002), the concept of empowerment is developed from four distinct definitions of power (“power over”, “power to”, “power with” and “power within”). Next, we apply this framework to the collected data, including information from content analysis on the previous FEI’s documents and evaluations and semi-structured interviews with previous FEI’s participants. Also, we followed through participant observation the formerly group that is planning and developing this year’s course (2016). Finally, we finish with some suggestions of what would be the core aspects of the course, that are intrinsically allowing/developing empowerment and therefore should be preserved as fundamental aspects of this socio/technical venture in a possible transition of the course to a mandatory course of Organic Agriculture’s Master program. Download the full report here..